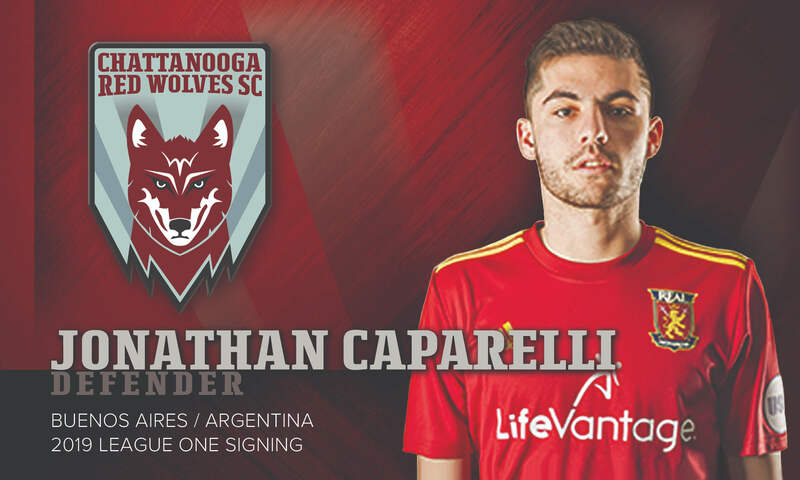 Chattanooga Red Wolves SC has signed Argentine midfielder Jonathan Caparelli to its USL League One team. Caparelli will join the franchise for its inaugural season in 2019 from USL League Two's FC Golden State Force, pending league and federation approval. Spending the 2018 season with FC Golden State Force, Caparelli made appearances in every match and helped lead the team through the Lamar Hunt U.S. Open Cup, ultimately losing to the LA Galaxy of Major League Soccer 4-2 in the Fourth Round. FC Golden State was the furthest amateur team to advance, knocking out L.A. Wolves, Orange County SC and the Las Vegas Lights. Prior to joining FC Golden State, Caparelli held a stint with Germany’s FCA04 Darmstadt during the 2016-17 season, tallying 13 appearances and 11 starts and helping the team garner German Team of the Week three separate times. The 2015-16 season saw Caparelli with USL Championship’s Real Monarchs SLC. Early in his career, Caparelli stepped on the pitch for Chivas USA in 2013 and 2014, LA Galaxy Academy in 2012 and was a member of the United States Youth National Team in 2011. He joins the Red Wolves roster as the eighth player signing for the club. Other signees include Greg Hartley, Éamon Zayed and Steven Beattie.